Situated near Roybridge, Larchwood B&B is set in 5 acres of garden and croft land. A remote, riverside position with scenic views all around. Ideal location for touring the Highlands. High quality accommodation, children welcome. 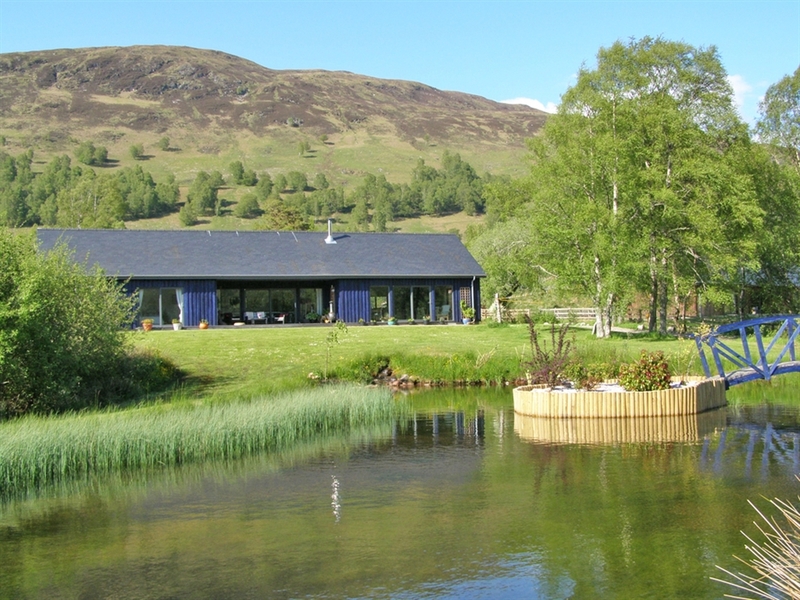 Larchwood Bed and Breakfast is situated in the Lochaber region of the Highlands of Scotland, just outside the village of Roy Bridge, in Glen Spean. The house is set in its own grounds of 2 acres, with a further 3 acres of croft land adjacent, and enjoys a remote, riverside position set back from the road. There are scenic views in all directions and wildlife abounds. Ample parking is available plus secure parking for bikes and outdoor equipment. Aside from enjoying the spectacular scenery, a whole range of activities including hill walking, climbing, skiing, mountain biking, fishing and water-sports are easily available within a short distance. Larchwood B&B is an ideal place to stay while visiting or touring the Highlands of Scotland. The town of Fort William, the outdoor capital of the UK, is 18 miles away (25 minutes drive) and has a good range of shops, restaurants, pubs and other facilities. Ben Nevis (Britain's highest mountain), Glencoe, the Great Glen, Loch Ness, Inverness, Oban and the Isle of Skye are all popular tourist attractions within easy reach of a day trip. There is plenty to do, however long you stay, and always something to come back to next time. The Garden Room. A large and lavishly furnished room with king sized double bed, full length windows with patio door leading to decking and garden, giving breath-taking views across our pond to the mountains beyond. En-suite shower room, TV, tea and coffee making facilities. The Croft Room has views of our croft, Cille Choirill church and the hills beyond. Double bed, en-suite bath room (with shower), TV, tea and coffee making facilities. Both B&B rooms have been carefully decorated and furnished to a high standard, with warm and comfortable beds. We aim to provide luxury bed and breakfast accommodation, a home from home. 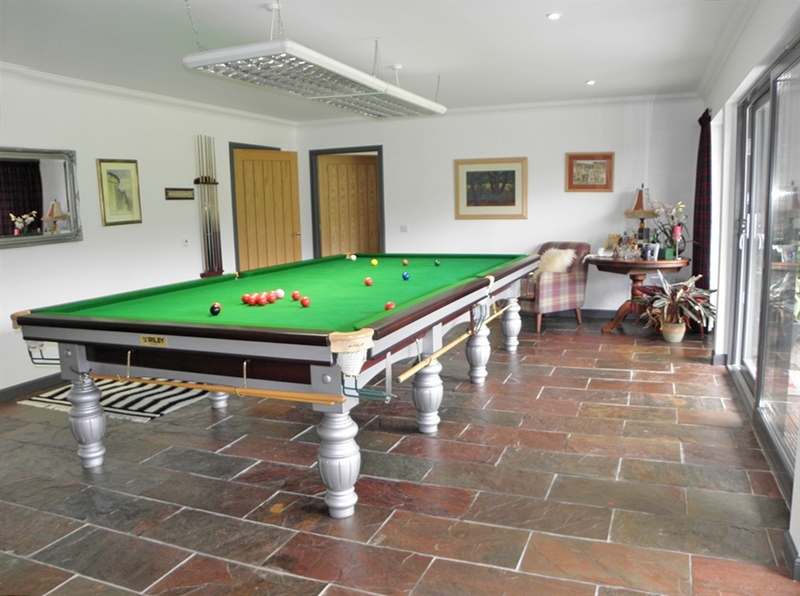 WiFi Internet Access is available for guests to use as well as a full sized snooker table. Drying facilities available. All the rooms are located on the ground floor. Spectacular views can be enjoyed from our dining room / lounge whilst you have breakfast.